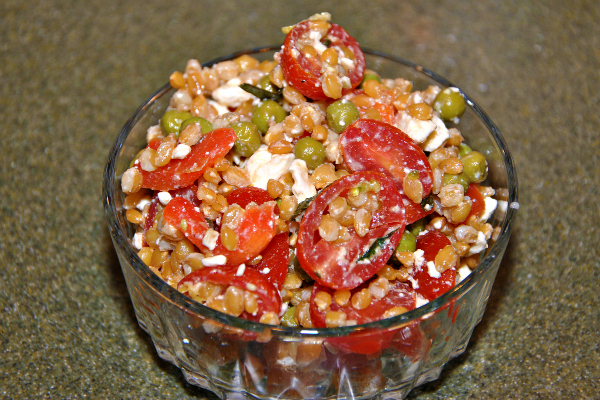 This week I bring you one of my own recipes-my Summer Farro Salad. 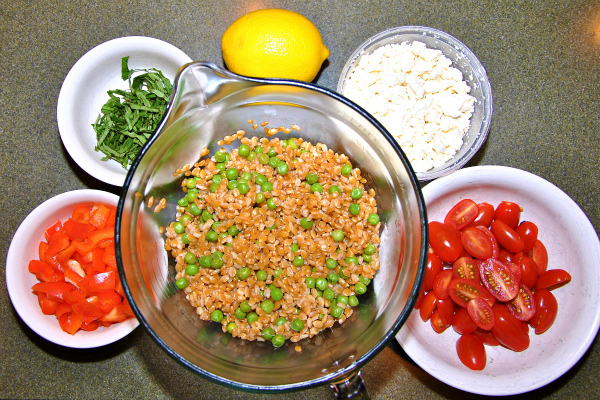 (click HERE for recipe) If you haven’t met it before let me introduce you to farro. Farro is a wild cousin of wheat and is very similar with barley. When cooked, farro is often shaped like giant puffed rice. It seems that farro is revered under several different names including: spelt, two-grained spelt, starch-wheat, emmer, einkorn, and wheatberries. When I found mine at Wegmans it was called einkorn. Farro has a nutty flavor with a slightly crunchy texture. It’s also a super health whole grain full of fiber and protein that will keep you full for hours. There is a debate about soaking your farro before cooking and not soaking your farro. It’s said that if you soak your farro beforehand you farro will be tenderer after cooking it. It is not the end of the world if you forget to or do not want to soak it. With that said, I did not soak my farro but the next time I make it I’m going to soak just to taste the difference. You do what you prefer to do but I’ll include both ways in my recipe. Also, you should know farro cooking time ranges between 20-40 minutes. I give this range in order to accommodate one’s taste preferences – Just Tender, chewy or full mushy! 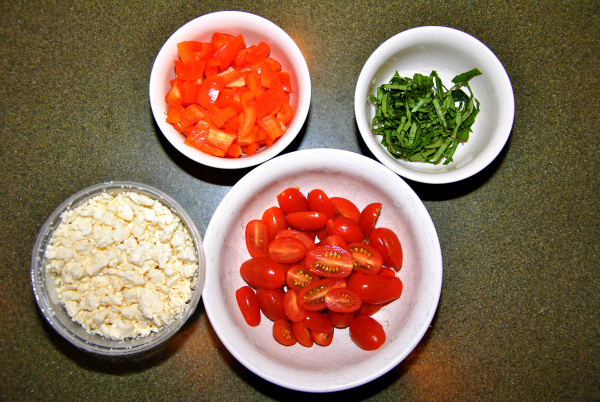 I like mine chewy and I love it in salads so it takes about 30 minutes for me to cook farro. Overnight Soaking would of course reduce the cooking time even further taking about 10-15min for the chewy texture. Curious about farro now and thinking of trying it?? 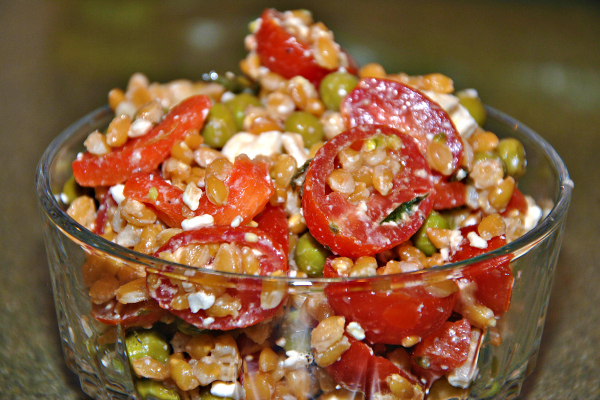 Give my Summer Farro Salad recipe (HERE) a try. My sister and I loved it, especially with all the fresh vegetables in it. I can't wait to make another batch with garden veggies. The thing I like most about this recipe is that you can add whatever veggies or cheese you want. It’s all about you and what you like! Enjoy and Happy Weekend to you!